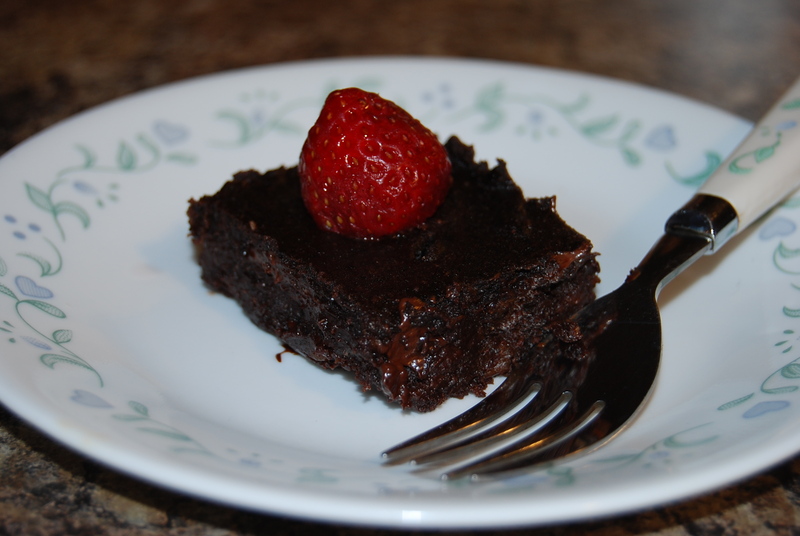 What if I told you that I have a recipe for delicious brownies and you don’t even have to feel guilty about indulging? Actually you can give yourself a pat on the back for having this treat! 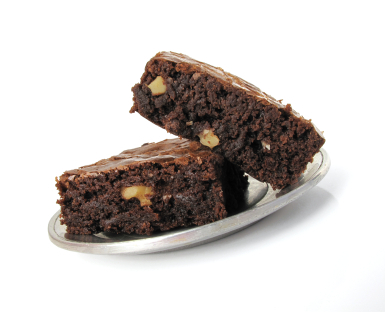 That’s because these Healthy Brownies have a hidden vegetable inside. Yes it’s true. This recipe calls for spinach…and I promise you won’t taste it at all. In addition to the Vitamin A and iron from the spinach, these Healthy Brownies have antioxidant-rich blueberries and a nice serving of fiber from whole- wheat flour. If using raw spinach, wash and dry it thoroughly (even if it’s triple-washed, bagged spinach). Bring the spinach and water to a boil in a medium saucepan. Turn the heat down to low and allow to simmer, 10 minutes. Preheat oven to 350 degrees F (175 degrees C). Grease and flour an 8 inch square pan. In a large bowl stir oil, add sugar, eggs or massed banana, and 1 teaspoon vanilla. Beat in 1/3 cup cocoa, 1cup purple pure, 1/2 cup flour, salt, baking powder and pecans. Spread batter into prepared pan. I tried this recipe out and it turned out pretty good. I only had spelt flour and used it instead of whole wheat flour; it seems to have turned out nicely. I’d like to ‘dress’ up the brownie with some topping… what would you recommend? perhaps some fruit? And for all the chocolate recipes, my sweeth tooth thanks you. I’m going to tackle the double chocolate protien balls later!